Veteran hard rock band 10 Years announced today that it will hit the road this summer. 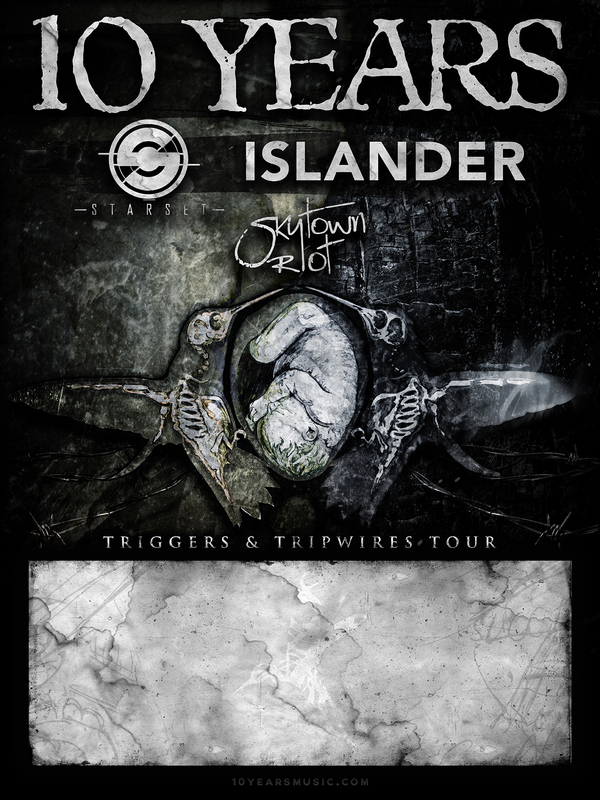 The band announced that it will embark on the “Triggers and Tripwires” tour this spring beginning May 27th. Starset, Islander, and Skytown Riot will join the band on the 21-date tour. The tour is in support of the band’s upcoming sixth full length studio effort From Birth To Burial, which will be released next Tuesday, April 21st via the band’s own label Palehorse Records. Palehorse Records is an imprint label distributed by Megaforce Records. 10 Years’ front man Jesse Hasek recently shared his thoughts with the media on getting back on the road again saying, “We’re stoked to hit the road on the “Triggers & Tripwires” tour representing our new album. Since our new album drops April 21st it’ll be cool to tour after its release so people will be more familiar with the songs and can sing/scream along.” He went on to express his happiness at touring alongside Starset, Islander, and Skytown Riot, saying, “We’re also very happy to share the stage with Starset, Islander, and Skytown Riot which I am personally fans of all these bands. It will be a great show start to finish!” Breaking Benjamin will also join 10 Years on a pair of dates on the upcoming tour. To keep up with the latest sports and entertainment news and reviews, go online to http://www.facebook.com/philspicks and “Like” it. Fans can always keep up with the latest sports and entertianment news and reviews in the Phil’s Picks blog at https://philspicks.wordpress.com. The Monster Energy Carolina Rebellion Festival is one of North Carolina’s biggest annual music festivals if not the biggest. And this year, the festival will celebrate an important anniversary when it returns to the Rock City Campgrounds at Charlotte Motor Speedway on May 2nd and 3rd. 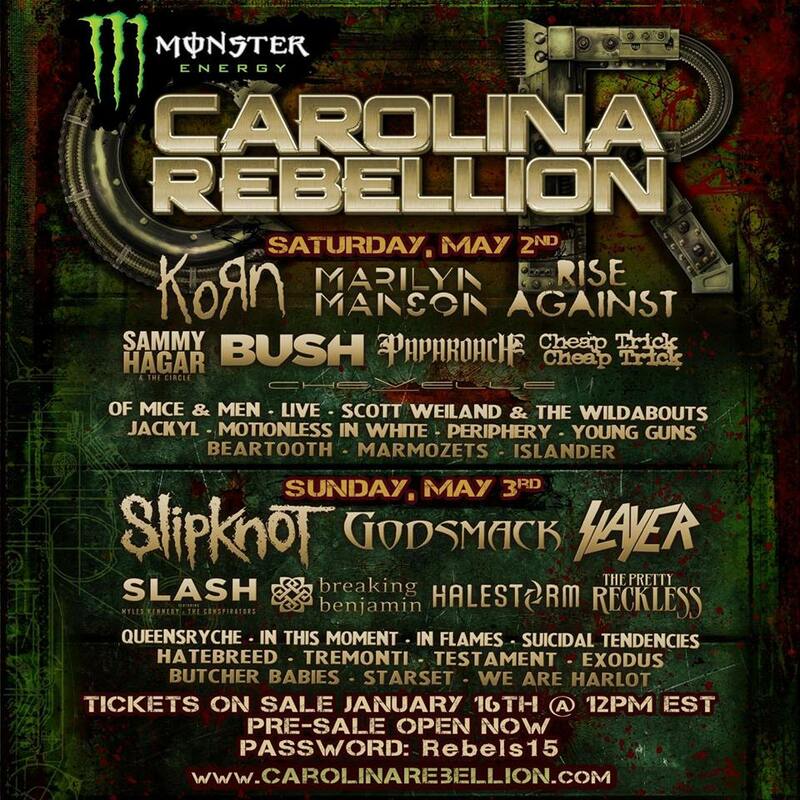 This year, the Monster Energy Carolina Rebellion Festival celebrates its fifth anniversary with one of its biggest lineups to date. The fifth annual festival will feature no fewer than thirty-six acts over two days. The acts tapped to perform this year include some of the biggest names in rock’s past, present, and future. Those names include the likes of: Slayer, Slipknot, Queensryche, Hatebreed, Cheap Trick, Korn, Marilyn Manson, Rise Against, Jackyl, In Flames, Periphery, and many other major names. The current lineup for this year’s festival is listed below. 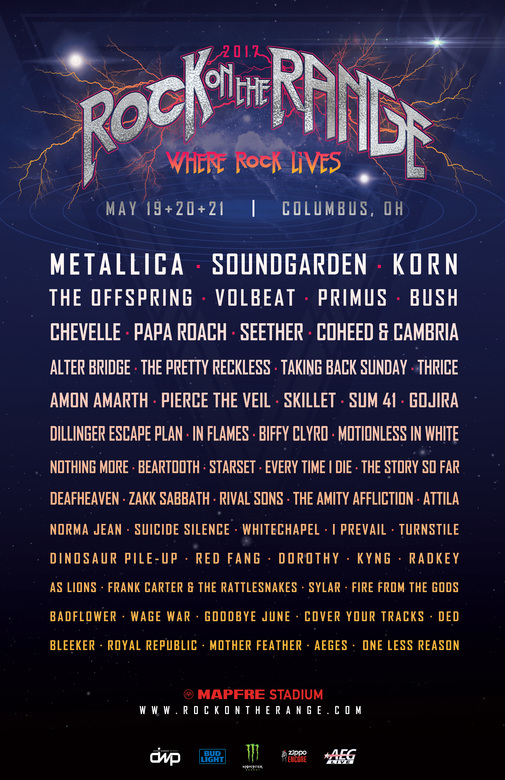 Korn, Marilyn Manson, Rise Against, Sammy Hagar & The Circle, Chevelle, Cheap Trick, Papa Roach, Bush, Scott Weiland and the Wildabouts, Jackyl, Of Mice & Men, Live, Motionless In White, Periphery, Beartooth, Young Guns, Marmozets, Islander and more. 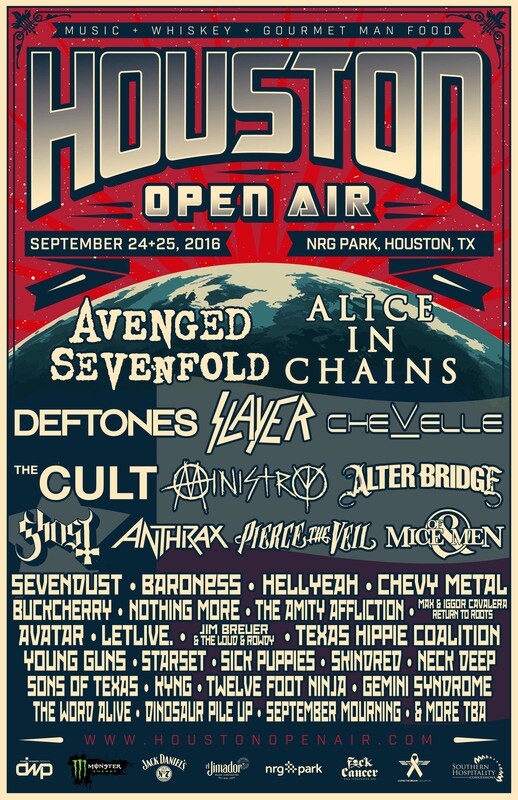 Slipknot, Godsmack, Slayer, Slash featuring Myles Kennedy and The Conspirators, Breaking Benjamin, Halestorm, Queensrÿche, The Pretty Reckless, In This Moment, In Flames, Tremonti, Suicidal Tendencies, Testament, Hatebreed, Starset, Butcher Babies, We Are Harlot, Exodus, and more. Slipknot front man Corey Taylor discussed the band’s addition to the bill and playing alongside other great names in rock in a recent interview saying, “We are very excited to be headlining Rebellion this year! We’re honored to be playing in the company of Cheap Trick, one of my all-time favorites, as well as playing with such good friends like Korn, Halestorm and Slayer!” Korn front man Jonathan Davis explained that the Carolina Rebellion festival plays a very important part in that band’s history as it served as the point of reunion for the band with guitarist Brian “Head” Welch in 2012. “Three years ago, we reunited with our brother Head on stage at Carolina Rebellion. Since then, we made a new album and toured the world together,” he said. He went on to note that the reunion means even more as the band plans on playing its debut album in its entirety at this year’s festival. And now we’re back to perform our first album in its entirety. Rebellion is going to be a really special show for us,” he said. Those that purchase weekend general admission tickets during both the current pre-sale and the upcoming general on-sale period can purchase a VIP Lounge Upgrade for $110. Even bigger news for audiences, the Carolina Rebellion Festival is offering layaway packages for purchase through January 31st. This is the first year that this is being made available for audiences. A limited number of discount tickets for active military members via GovX. Along with the general admission, weekend general admission, and VIP packages, hotel and camping packages are also currently available. Prices will remain the same through both pre-sale and general on-sale periods. All hotel packages are for three nights. They are available for couples and for groups of up to four. The packages include access to the Friday Night Campground Party in the campgrounds. Camping opens at noon on Friday, May 1st and closes at noon on Monday, May 4th. Camping upgrades include access to the Friday Night Campground Party. The Camping packages include a $25 merchandise voucher, access to VIP Lounge, a festival poster, and access to the Friday Night Campground Party. To keep up with the latest sports and entertainment news and reviews, go online to http://www.facebook.com/philspicks and “Like” it. Audiences can always keep up with the latest sports and entertainment news and reviews in the Phil’s Picks blog at https://philspicks.wordpress.com.